We are very vulnerable, fragile creatures in desperate need of support and we generally don’t get it. … Art [can be] a source of help with our problems — our innermost problems — the problems of the soul. . . . Art can be a form of self-help and there is nothing demeaning about the concept of self-help — only the way in which some of self-help has been done so far, but there is nothing wrong with it as a concept. . . . There is nothing wrong with [art today]. It’s not the art that’s the problem — it’s the frame around the art. We are simply not encouraged to bring ourselves to works of art. . . . The impact of art is often not what it should be because the frame is wrong. I believe that art should be propaganda of something [other than the Christian church] — not theology, but psychology. I believe that art should serve the needs of our psyche as efficiently and as clearly as it served the needs of theology for hundreds of years. Art as Therapy is an excellent read in its entirety. 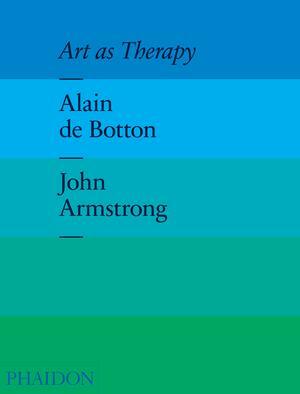 Take a closer look at de Botton’s argument and his seven psychological functions of art here.